I guess the old habit may be useful if disputes arise and a nomenclature/taxonomy re-shuffling takes place. Decades later, it may not be immediately clear what organism exactly an author was referring to, and whether the nomenclature used in the paper stems from before or after a major revision. But with the reference to author & year, it can usually be traced back. However, it may be even more useful to cite type specimen accessions or the like? I’ve actually had some first-hand experience with this phenomenon in my latest manuscript and so I have had some time to think over this issue. Essentially, my opinion is that taxonomic authorities should be cited in the “Systematic Paleontology” or “Systematics” section, but not elsewhere in the manuscript. For the Systematics section, you are essentially directly building off the classification system built by previous authors, so it makes sense to cite them. This is especially true if the definition of a clade differs between authorities (and in this specific case you may even want to mention that in the Methods section). However, this gets annoying when it comes to the description of the paper, especially if you make any comparisons in your description. Say you are comparing the structure of the neck in sauropod dinosaurs to giraffes (Giraffa camelopardalis, ignoring the whole giraffe taxonomy issue for now). Now you have to go find out who coined the name Giraffa camelopardalis and add an additional reference to your paper for what may be a single offhand reference for an organism that everyone knows what you are talking about. This gets worse if you happen to refer to the genus by itself. E.g., “the condition in sauropods differs from Giraffa. Now you have to track down the taxonomic authority for the species, but the genus as well. For fossil taxa, this is often less of a problem, but this issue is particularly difficult when it comes to referring to extant taxa. Many extant taxa were often published in a manner that we would not recognize today (e.g., as plates or meeting proceedings), and the original papers describing the species are often not readily available. Many of the journals that published the original descriptions are now defunct, and you may only be able to find the shortened name (or the name of the journal has changed). Interestingly, many papers that do cite taxonomic authorities for their taxon of study do not actually cite the original reference naming the species. It’s a kind of a chicken-and-egg situation. It also makes it confusing if you are trying to refer to something in a taxon based on an observation made by another author. E.g., “The postzygapophyses of Taxon A are strongly protruding in lateral view, similar to Taxon B (Author 1, Year) (Author 2, Year)”. Who observed the state in Taxon B? Was it Author 1 or Author 2? This is not clear based on the way it is written (and I ran into this exact problem in my manuscript). Finally, it is interesting to note that Wikipedia DOES NOT list taxonomic authorities for most of its descriptions. It will list the author, but it will not list the entire reference. I agree with Anonymous that it should only be done in the Systematic section, but would further specify that even then, you shouldn’t need to list the full reference in the References section. Listing author and date never struck me as something done to help the reader research, but rather to honor the author and maintain the Principle of Priority. I disagree. Listing the taxon authority in the systematics but not listing it in the references is essentially the same problem as some of these other papers where a reference is listed in the paper but not cited in the index. It also causes problems if it is not immediately obvious in what publication the name was coined. For example, George Gaylord Simpson authored around 16 papers in 1959 and 13 in 1938, many of which were solo-authored and dealt with new taxa. If I was to say taxon X was named by Simpson 1938, which paper am I talking about? The other thing is if it was a handling editor that asked you to put it in, I would unfortunately say you would probably have to comply. I once ran into a similar situation where the handling editor insisted I give Linnaean ranks in the Systematic Paleontology despite my preference for avoiding ranked names. Unfortunately, as you have mentioned before, the handling editor has the final say on whether your paper is or is not published, regardless of their personal quirks. List the taxonomic authority when dealing with taxonomy. But clearly state the specimens or references you are using when dealing with comparative anatomy. But you absolutely do have to list the reference in the references, and where ambiguous (the Simpson example, for instance), you state if it is Simpson 1938a, b, c, etc. (with proper listings in the bibliography). That’s fair enough. It is a time consuming (if fun) effort to track down original references for non-dinosaurs when making reference lists in the Database. Google Books helps a ton. Maybe the more basic anachronism here is the Systematics section itself. Back in the day, Linnaean categories limited their number and exaggerated their usefulness, but now everything’s a member of hundreds of clades. Plus, any skilled researcher knows there are levels of uncertainty to each taxonomic assignment. So barring papers whose subject is systematics, maybe it would be best to do0 away with that format. I think a function is to help increase citations of taxonomic papers, specifically species naming works. As taxonomy is a “low impact” field. That seems like a weird function, Dean. A paper should be cited or not according as it has an actual contribution to the citing paper. 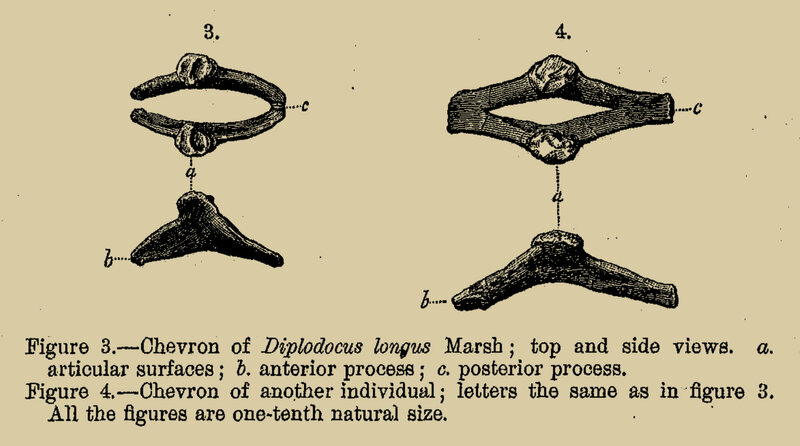 Honestly, O. C. Marsh has done nothing that merits him getting a citation every time anyone mentions Diplodocus. Yes, in this context, but I think some are arguing it for more current publications in which authors who name new species are rarely cited and thus the profession of taxonomy is seen as unimportant. I appreciate the argument you’re making here, Richard; but where do we stop? Do we wedge in citations of other papers that we think are worthy of more credit than they’re getting? If not, why is taxonomy a special case? If so, then when does the line cross into a citation cartel? I find myself very uncomfortable with this. Since the topic of journal IF has come up, the fact that the publisher or journal declares its own IF should be of concern to all scientists of all disciplines. There is no way to know if the journal/publisher has its thumb on the scale, so to speak. In other words, would there be reproducibility of IF by an independent entity? Or do journals “pad” the results using shady interpretation what constitutes citation data (probably). Nature has had some commentaries about IF, but it is hard to know how much of that is sour grapes because Nature articles are not cited very often in substantial peer publications. Well, Ken, the situation is even worse than (I think) you realise. The impact factors that publishers and journals trumpet are not calculated by themselves, but handed down from on high by Thomson Reuters, a multinational corporation, which calculates them from secret data that no-one is allowed to see — so that it is literally impossible to replicate their figures. Worse, the number is in effect negotiated between publishers and TR. here is the classic PLOS Medicine article about how its own IF was negotiated. Key observation: “During the course of our discussions with Thompson Scientific, PLoS Medicine’s potential impact factor— based on the same articles published in the same year—seesawed between as much as 11 […] to less than 3”. It’s not my argument Mike – it’s an argument that has been made repeatedly by taxonomists (mostly working on extant groups where the taxonomy crisis is greatest, and taxonomists are most urgently needed) as a way that we might reward and incentivise taxonomic work. Sure, Richard, I recgonise that it’s not a new argument that you’re making for the first time: I meant “your argument” in the sense of “the argument that you are bringing to this discussion”. My question remains: if we accept the idea that we should give citations to taxonomists every time we mention an organism that they named, where does it end? Should we give citations to Hennig every time we do a phylogenetic analysis? Or to Jeff Wilson every time we use the name of a vertebral lamina? Or to Darwin every time we mention evolution? To me, all of these have the distinctive and unwholesome whiff of citation-gaming; and I am not sure that the taxonomic case is very different. Citation-counting is already a game. Bad papers can get cited a lot of times just because they’re bad. Good papers may (but do not always) get under-cited because their conclusions get accepted as the new status quo so rapidly. If in one of my discussion sections I need to reach for an example to illustrate a particular point, I’m more likely to cite Mike, Darren, Pat O’Connor, or Jeff Wilson than anyone else who has published an equally good instance of the thing I’m talking about, just because I’m most familiar with their work. Or I may cite someone I know that is up-and-coming because I want to direct a little light onto their work. Are those things citation-gaming? The whole idea of citation-gaming implies that there is a non-broken, non-gamey way to use citation counts, which seems to me to be obviously false. So if in a world that is so short-sighted that it is allowing taxonomy to die for stupid reasons, we can prop up this ailing discipline by using the broken logic of the oppressors against them, then I say game on. I’m certainly not aware of having games any of my own citations. « How horrifying was the neck of Barosaurus?